1.) High-Waisted Black Leather Shorts with Sheer Black Stockings: This trend was especially popular this fall and for good reason. The effect is totally Ukranian-model-goes-to-the-rock-show and very Daisy Lowe. When paired with fishnets for some reason the look veers into trashy territory, so stick with black hose. (Silence and Noise All Black Short $78 available at urbanoutfitters.com). 2.) Bleached Out Tight Denim: While I'm not usually a fan of washed-out denim, because I think that it's too casual, when fashio ned into skinny shapes I think that it works. I especially love this pair with zippers on the bottom. This hue of denim works really well with the bright pops of color that are all the rage for spring, so if you don't have a pair in your closet invest in one. (Silence and Noise Color Ankle Zip Twig Jean $68 available at urbanoutfitters.com). 3.) Leggings/Pants Hybrid: Easier to pull-off than the leggings as pants trend that American Apparel sparked way back last spring (or even earlier), these leggings are made of pants material but cling to the body like a legging. These justify the whole you "forgot your pants" look. Some versions even have pants detailing like pocket outlines and rivets (very trompe l'oeil). I went into Co-op the other day and spotted at least 3 varieties of the trend, all of them in versions of black (my favorite of which is Current Elliot), but I also like this pair which is a jean/leggings hybrid. (BDG Foldover Denim Legging $38 available at urbanoutfitters.com). 1.) A bright Thakoon floral bikini will turn heads on the sand and will stay put while you frolic in the waves. 2.) 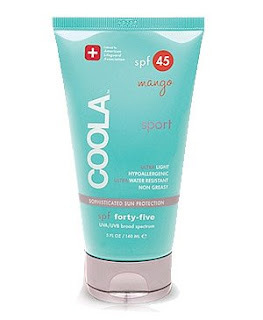 Coola Mango Sport SPF 45 is the most pleasant sunblock to apply. 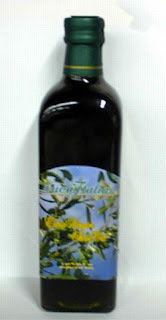 It smells like a ripe mango, and the consistency is silky and light. The food this Christmas was amazing, and I was definitely guilty of over-indulging. 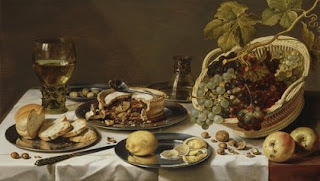 By the end of the meal the table looked like a Pieter Claesz still life! After a large dinner on Christmas Eve, I had a big serving of a traditional English Christmas Pudding that is doused in cognac and then lit on fire. It was served with a generous scoop of creamy Brandy Butter. Then on Christmas day after enjoying ham, turkey, vegetables, and stuffing, I had about 8 different kinds of cookies including gingerbread men, saltine toffee delights, and butter cookies, and then I ate a large piece of Chestnut Yule Log Cake. Needless to say, I've packed on a little winter weight and my skin is exhibiting the aftermath of ingesting too much sugar (ie: breakouts). For my holiday detox I've begun drinking about 5 cups of tea a day (alternating between green and white) and have been snacking on dried fruits and nuts instead of reaching for left-over Christmas cookies. 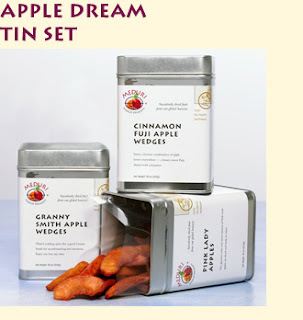 My favorite dried fruit snacks are the Double Red Grapefruit Slices and Pink Lady Apples from Meduri World Delight. 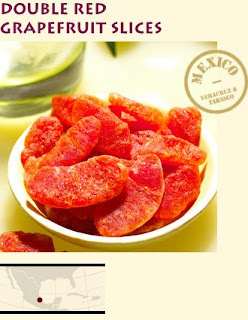 They are so deliciously addictive and healthful, and my skin is already getting back in shape. I mix them with a handful of hazelnuts or stir them into a cup of plain yogurt. What are some of your holiday detox secrets? Share them in the comments section. Beauty in Chelsea wishes you and your family a merry Christmas and a happy Hanukkah! 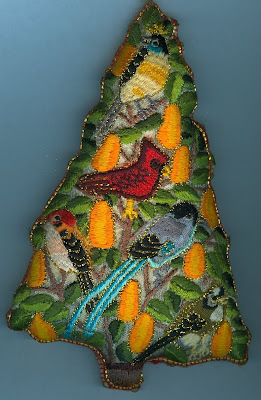 I'll be back with a new post on Friday! 1.) Pick up an assortment of amaretti cookies, hard cheeses, olive oils, and other Italian specialties at the Buon Italia shop inside Chelsea Market on 15th Street and 10th Avenue. Place the food items in a reusable tote for an eco-friendly and delicious gift. 2.) 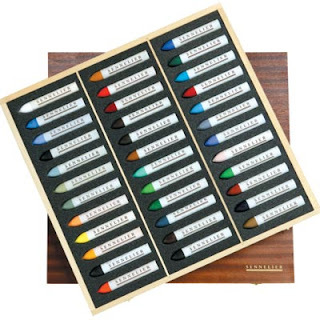 At Utrecht Art Supply Store on 23rd Street between 7th and 8th Avenue you can snag a stunningly beautiful box set of Sennelier Grand Oil Pastels, the actual brand that Pablo Picasso used. 3.) Walk over to Whole Foods on 7th Avenue between 24th and 25th Street and pick up a rosemary plant and/or other herbal plants. This is the perfect gift for the family member who loves to whip up homemade specialties in the kitchen. They'll think of you whenever they season a dish! 1.) 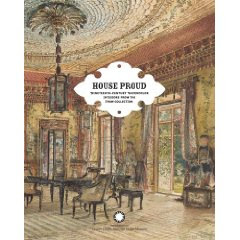 House Proud: Nineteenth Century Watercolor Interiors from the Thaw Collection: Does your mother love to constantly redecorate or "update" her abode? This exhibition catalogue (from the popular Cooper-Hewitt show of the same name) is filled with stunning and detailed illustrations of domestic spaces. 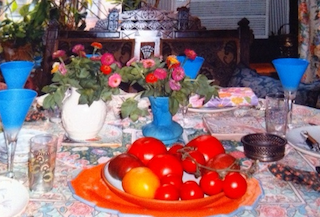 This is a perfect gift for the mother who loves elegant interior decorating and beautiful art. 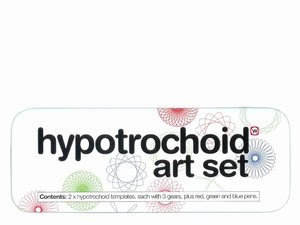 Pick up a copy at the Cooper Hewitt Gift Shop on the corner of 91st and Fifth Avenue. 2.) 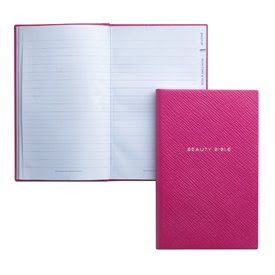 Smythson's Beauty Bible: This little Schiaparelli-pink beauty diary is divided into categories like "Makeup," and it is ideal for keeping track of products, spa and weight-loss therapies, and beauty rituals. It comes packaged in a beautiful sky-blue pouch. Smythson of Bond Street is located at 4 West 57th Street. 3.) 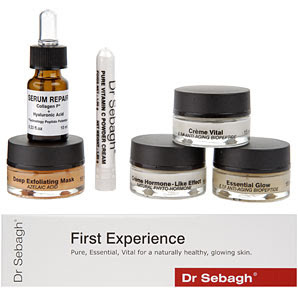 Dr. Sebagh First Experience Kit: This starter set is nearly as coveted as an appointment with the famed French dermatologist himself, who tends to the skin of Cindy Crawford and other famous beauties. Serum Repair will erase wrinkles when worn under makeup, the Deep Exfoliating Mask will work miracles on sun damage and uneven tone, Essential Glow with Vitamin C Powder will brighten, and Creme Vital and Creme Hormone-Like Effect will turn back the clock. 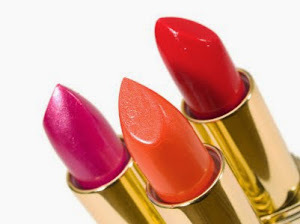 Purchase your set at Barneys located at 660 Madison Avenue. The city is filling up with tourists (especially in midtown), and that got me thinking about the best tourist-friendly accessories besides the obvious camera and map. 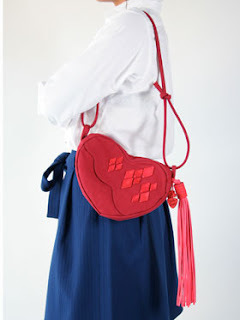 If you plan on taking a trip or going on an excursion this holiday season, or you have a friend or family member visiting you from out of town, then a functional yet chic bag to tote around is definitely a necessity. Something that's comfortable but doesn't scream "tourist" (like a fanny pack does) is preferable. 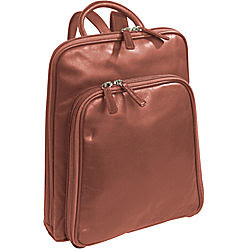 The Osgoode Marley Cashmere Backpack constructed of supple chestnut-brown leather is a perfect choice for any traveler. The nylon-lined interior is large enough to fit a subway map, iPhone, granola bar, and a KOR ONE Hydration Vessel, but the pack itself is not at all bulky. Plus, the pack distributes weight evenly, resulting in less back and shoulder pain. It also makes a great Christmas present! 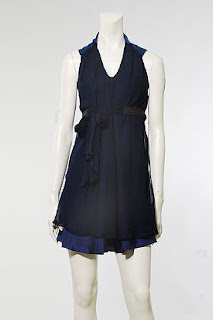 Check back on Friday for a continuation of my Holiday Shopping Guide with recommendations for mothers. 1.) Try a lightly perfumed body lotion instead (rub it onto your pulse points where you would normally apply perfume): International Orange Enrich Body Cream with bergamot peel and tuberose petal smells faintly like a freshly-peeled clementine. 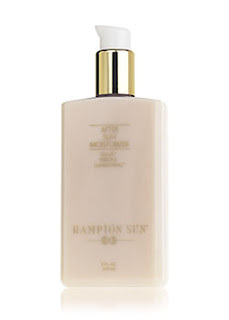 Hampton Sun After Sun Moisturizer, with chamomile, green tea, and almond, has an addictive yet subtle wildflowers-in-a-meadow scent that is almost impossible to dislike. 2.) Opt for light-weight summer fragrances: Instead of wearing a heavy winter perfume, choose bright green, citrus, or light floral scents. 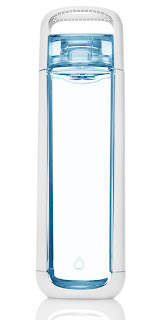 Rather than spraying a fine mist and stepping into it, instead spray one direct spritz on your wrist, and press your wrist to each pulse point to distribute the fragrance (you're boyf will only be able to smell it when he comes really close to you). 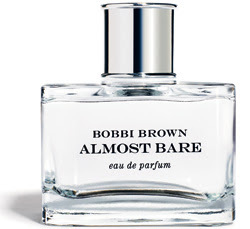 Try Bobbi Brown's Almost Bare Fragrance, with violet, jasmine, and amber, or i Profumi di Firenze's Brezza di Mare, with notes of sicilian lemon, watermelon, and sea salt. 3.) 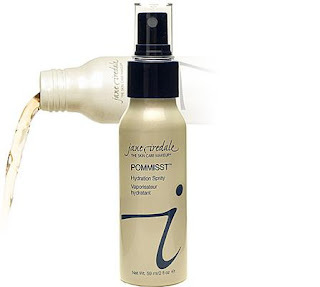 Use a Body Spray: Jane Iredale's POM Mist with antioxidant rich pomegranate extract is a complexion clearing facial spritz, but I also like to spritz it on my neck and wrists in lieu of perfume. The smell is really vibrant and reminiscent of laundry drying in the sun but not at all perfumey. 1.) 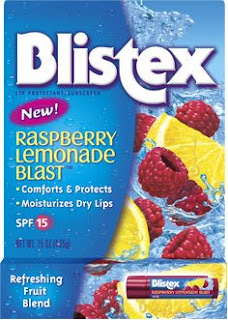 Blistex Raspberry Lemonade Blast: This balm is super-moisturizing, and it leaves your lips with a nice healthy sheen. It reminds me of the summer, because it tastes exactly like the fresh raspberry lemonade that I buy from the Fruit Exchange in Chelsea Market. Plus, it contains vitamins C and E as well as SPF 15. 2.) Brucci Nail Hardener in Bert's Blue: This is the most amazing nail color. It's so perfect that it even rivals the Rescue Beauty Lounge colors. It is best described as a sheer silvery pale blue with an iridescent quality (click here for a picture: It's a little more silver in real life though). Everyone has been commenting on how lovely my nails look. I applied two coats to achieve maximum staying power. I bought my bottle at the Rite Aid on 22nd and 9th Ave, but I assume that most other Rite Aid's carry it as well. 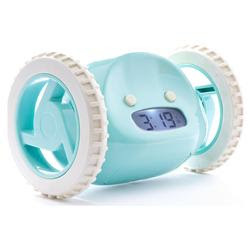 On Thursday I will be posting about stocking stuffers for kids and teens, so stay tuned! 1.) Ron Herman LNA Zipper Ankle Leggings: Perfect under skirts and dresses, these black leggings with gold zippers will infuse any outfit with a dose of rocker-girl chic. She can even wear them to the gym or jogging around her college campus. 2.) Yarnz Ombre Cobra Scarf: This scarf is such a unique addition to any cool girl's wardrobe. 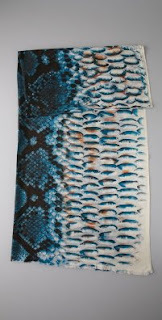 The overall effect is that of a hand-painted work of art: the abstract snake-skin pattern looks like it was watercolored directly onto the gauzy cashmere. 3.) 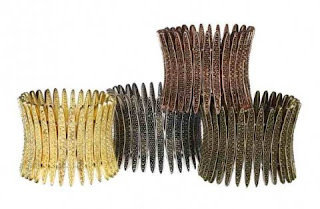 Made Her Think Row of Sirens Cuff: Elegant yet edgy, this covetable statement piece has been deeply discounted for the holidays. Click Here for details about the Made Her Think Sample Sale happening this weekend. 4.) 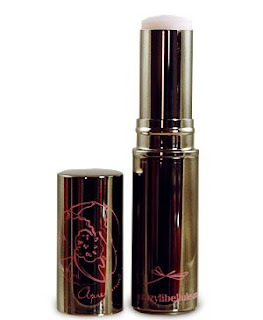 Crazylibellule and the Poppies Les Batons: Inspired by the image of an iridescent dragonfly (libellule is a dragonfly), this collection of sheer and sparkling fragrance sticks is an essential for any teenage girl's purse or evening clutch. Choose from Apres-Midi en Douce with notes of violet leaves, hazelnuts, and freesia, De bon Matin with apricot, orange blossom, and amber, or Ensemble ce Soir with rose, jasmine, and musk. OK, so the other day I decided it was time to take in some of my dry cleaning. Since I was only walking a block away I decided there was no reason to put on any makeup or brush my hair, so I bundled up in my winter coat, put on my ear muffs underneath my hood (all my fashion sense goes out the window when it's cold), wrapped a scarf around my face and neck, and donned my fingerless gloves. 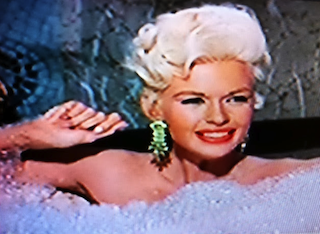 There's no way I'll run into anyone I know I reasoned, so there's no need to look nice. No sooner did I set foot inside the dry cleaner with a Barney's shopping bag overflowing with items badly in need of dry cleaning (I can't seem to remember to buy a laundry bag), then out of the corner of my eye I spotted a hottie picking up his dry cleaning. 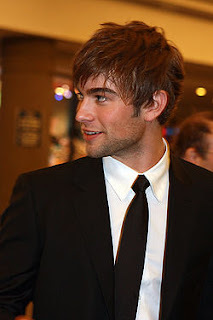 At first I thought he was just a model, but on closer inspection (by slyly gazing at his reflection in the mirror since his back was turned to me), I realized that it was actually Chace Crawford. I was almost as embarassed as the time last summer when I nearly ran over Stephanie Seymour's stiletto-heeled foot with my old lady shopping cart. I gasped audibly, and then in an attempt to play it cool, I busied myself with sorting through my stained laundry while intermittently catching glimpses of him in the mirror. Anyway, after this occurrence not only do I dress up when I go to the dry cleaners, but I also find any excuse that I can to go (short of purposely spilling things on my clothing). 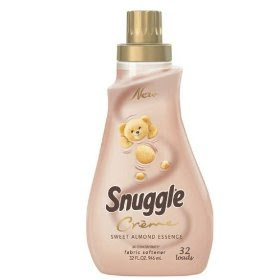 I also fantasize (sadly) about all kinds of laundry small-talk we could have together, like maybe he doesn't already know that Snuggle makes an awesome new Sweet Almond Essence Creme fabric softener and other such interesting tidbits. P.S. : Check out this photo of the boys in Chelsea!!! Though it's credited as being take in Soho, they're actually on 23rd street walking from 9th Ave. towards 8th Ave. 1.) 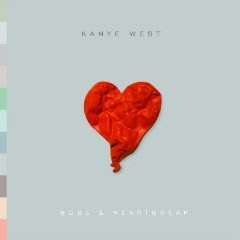 808s and Heartbreak (the new Kanye West album): Featuring the hit single Love Lockdown as well as songs like RoboCop and Paranoid, this newly released mix is sure to amp up his workout at Equinox. Just don't blame me if he starts singing Kanye songs in the shower. 2.) 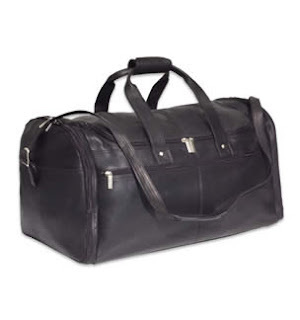 Deluxe Duffel Bag: Masculine, streamlined, and uncomplicated, this straightforward black leather duffel is perfect for business trips, weekend getaways, or even trips to the gym. Fill it with copies of car magazines, GQ, and Esquire, so that he'll be entertained during layovers. 3.) Mariebelle's Pin-Up Girl Chocolate Bars: If you want to get him a little something for his Christmas stocking, then these sassy chocolate bars are the perfect gift idea. Printed with vintage pin-up images that are tres risque, you can choose from Ethel, Francis, or Grace, or spring for an assortment of ladies for your Casanova. 4.) Rothman & Winter Creme de Violette Liqueur: Concocted from a blend of wildflowers grown in the Alps, this liqueur is delicious in a variety of old-school mixed drinks like the Aviation cocktail or when mixed with champagne. Perfect for the beau who fancies himself a mixologist, this will be a welcome addition to any serious cocktail lover's bar. Please excuse the slight diversion from my Holiday Shopping Guide, I needed a bit of a shopping (for other people) time-out. Tomorrow I'll be back with recommendations for boyfriends, but in the meantime here's a little holiday-something you can give to yourself without any regrets. 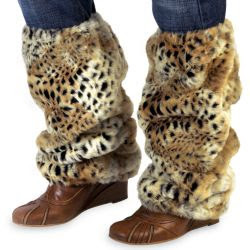 These faux Cheetah Legwarmers are insane, I love them so! Now, I know that the website says they are for children ages 7 to 10, but I have very skinny legs and maybe you do to, and these have stretchy elastic bands. The length of the medium is fine too, unless you're very tall. Think how cozy these would be on chilly winter days. 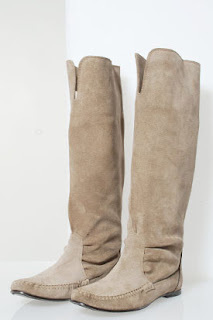 They'd be perfect over black leggings or for lounging around the ski lodge. 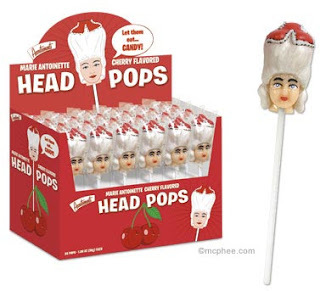 I need them, and the best part is that they're only $25!